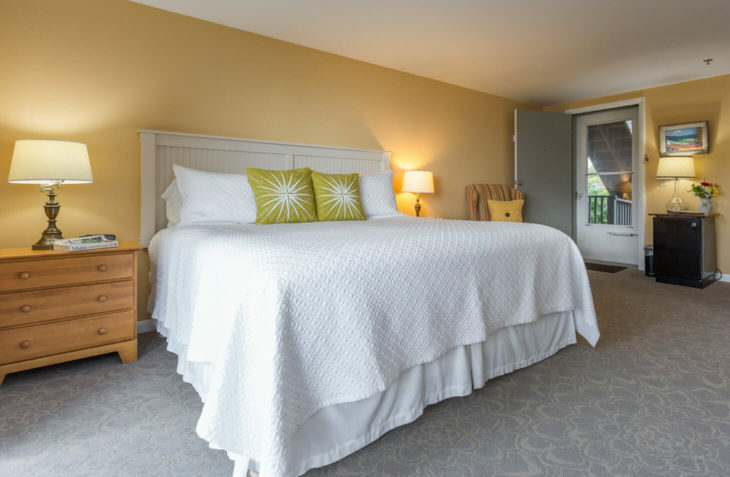 Plan to stay in this sunny room during your getaway to our romantic hotel in Maine. 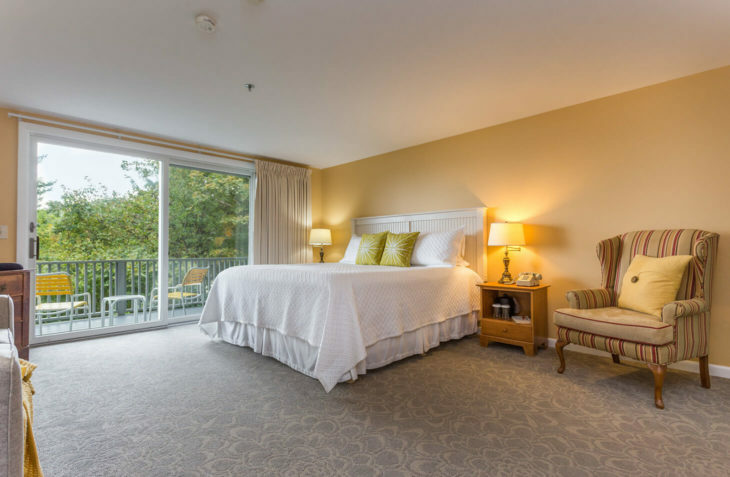 On the first floor of the Lookout building, this large king room offers everything you need for a comfortable stay on the coast. 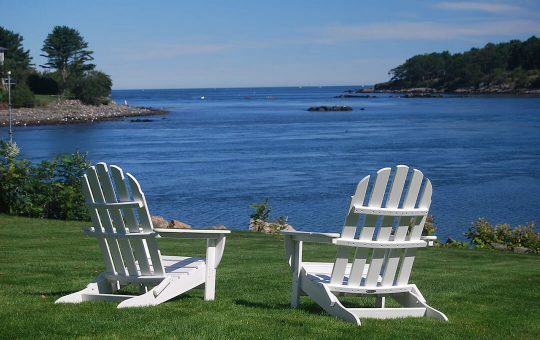 Enjoy the water views from the private deck. There’s plenty of room to relax on the pullout sofa while you enjoy a craft beer perfectly chilled in the refrigerator. Max occupancy 4, wheelchair accessible.